She was christened as Catherine Delaney, but most people call her Kay. She loves the colour lavender. She has soft, warm hands. She bakes apple tart most weekends. I get to call her Mam and she is beyond loved. Growing up my Mam saved her hard earned money, every pretty penny she could spare, and brought the full glorious gaggle of us ten children on a Summer holiday to Kerry every year. From Ballymun to Bandon. As if there wasn’t enough humans in the car, we also brought our dog, our clothes, our weekly food and a diverse array of personal objects. We were a chocabloc movable tin can – busting at the seams. How the car could travel anywhere is a mystery. We stopped off along the way, gorging on our travelling picnic of egg and onion sandwiches and a pressure cooker filled with coddle, just in case. Personal space was an issue, so we all fought over who got to travel in the spacious confines of the boot. The least you’d get was a cramp in your leg from sitting in a scrunched up position. Plus, the stench of the sambo/coddle combo seemed to soak into the speckled fabric and the unlucky humans nearer the driver. A calculated risk worth taking. The boot was better than the actual seats. There were 2 layers of young people; the bottom half – the oldest and heaviest, the top half – the youngest and lightest. My poor older siblings had dead legs for days, only regaining feeling and movement when it was time to hop back in the car and make the whole 8 hour journey back to Ballymun. In my memory, it was always shiny and sunny. My Mam agrees, but she also remembers the preparation, the cooking and the seemingly endless hand washing of clothes. You see, the houses we rented didn’t have washing machines. She says she used to be more exhausted on our holidays, than at home. Not at all in line with my memory. As a young adult, I nearly choked with shock and confusion when she told me this. I didn’t have children and couldn’t understand why she’d go to all that hassle. I asked her why we went away every year? Why not take it easy at home? We wouldn’t have known anything different. But she smiled and replied, “because I knew it made you all happy.” Simple as. She wanted to get us out of Ballymun, out of the high rises and down to the country so we could all just be. Be together, breathe fresh air and know a different world of colour and texture outside of our familiar suburban greynes. Mothers. Putting others before themselves since the beginning of time. 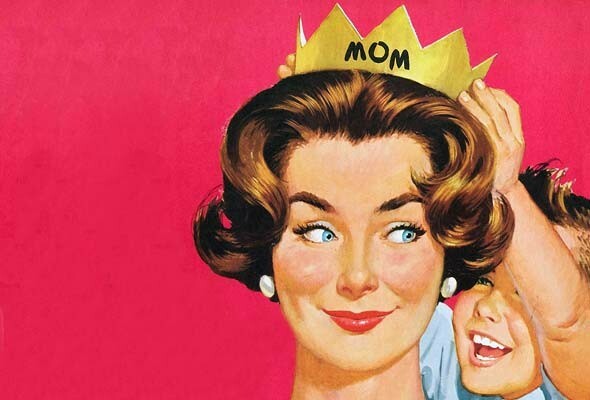 Here’s to the Mothers, Mama’s, Mams, Moms and Ma’s. Thank You for all of the love and sacrifices you made. For us. To the mother figures I’ve been lucky to have throughout my life too. Starting with my sisters. To my friends, that can’t physically hug their Mama’s today- may you find the strength in those memories, those moments of love and togetherness. Here’s to Kay. My mother.